b. Kiso go-boku, "Five trees of Kiso"
Japan is known to be a country of wood and "wood culture". Written sources on the practical aspect of traditional woodcraft, however, are scarce. For this reason it was decided to undertake a study based on in-depth interviews of craftsmen who are specialised in various fields of traditional woodworking. From the data thus obtained it was possible to study the materials used, the techniques, the nomenclature, the aesthetics and the culture prevailing in the various fields of woodcraft. 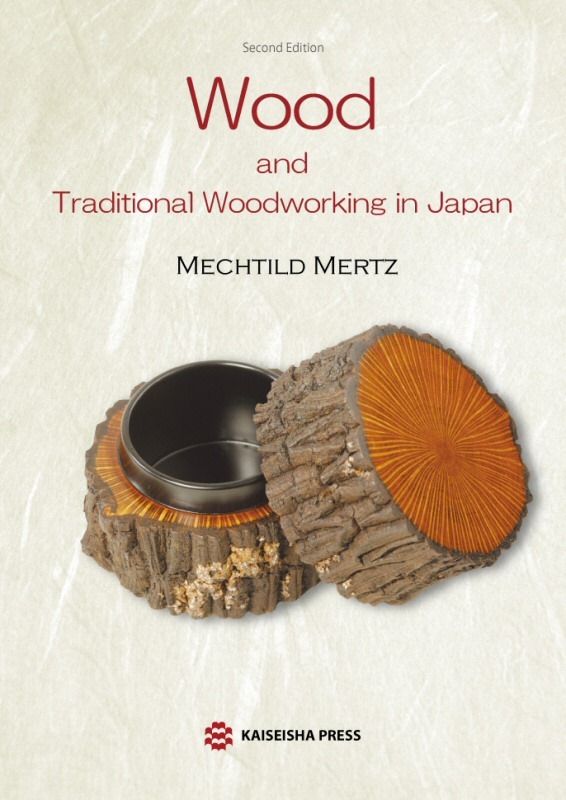 As a result both the technical and the symbolic and aesthetic properties of wood and woodworking become apparent, as seen from the point of view of Japanese craftsmen who owe their skill and expertise to traditions passed from one generation to the next. As such, this study contributes towards opening a new field of research for art historians, ethnobotanists, archaeologists and japanologists by supplying them with new means and tools to supplement their own. Apart from that, the present study, focusing on wood in all its aspects as it does, ties in with an academic trend that has been developing in Japan over the past few decades.